Is Victor Foh a Blessing or a Curse To Sierra Leone Politics? These acts go well beyond the normal democratic give and take, where political parties battle over the rules of elections at the margins. Some far, APC fans will rightly argue that they are not ideology opposed to democracy in the way that, say fascists and Islamists are. 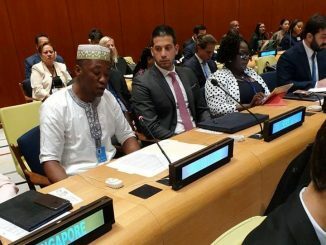 A case of two tales occurred within the opposition All Peoples Congress party involving one time Vice President Sam Sumana who visited the former President, Ernest Koroma at his residence in Makeni, in a bid to quell the feud between the two that eventually led to the sacking of the former. A move widely acclaimed by die- hard APCers as the beginning of the reconciliation spree that is badly needed in the party. Sam Sumana may have angered most of his outside fans who thought he should have consulted his base before patching up this debacle. Sam Sumana conducted interviews on different channels about his decision, citing national reconciliation and forgiveness. So is what is good for the gander also good for the goose? On the flip side, call him a maverick, shrewd and intelligent politician in the personality of Victor Foh. He has served the APC party since its formative stage, spanning during the hey days of the party in power. He has walked his way through the ranks of the party structure to the second post of Vice Presidency. Few years ago, some ardent supporters of the APC party applauded the controversial appointment of Victor Foh as the Vice President, following the sacking of Sam Sumana, the then VP. To some supporters like Kebbie Turay of Philadelphia, this shows that the party acknowledges the efforts of its loyal sons and daughters. At the time, Victor Foh was rewarded for his tremendous work towards re-energizing the party from a low spirit to the highest peak in political posture. 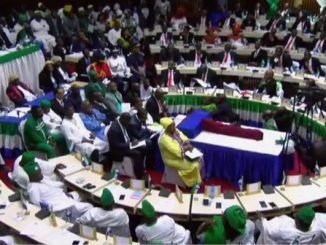 During the interregnum when the name of APC was a taboo to the ears of many Sierra Leoneans, it was the likes of Victor Foh, Eddie Turay, and late Serry Kamal that stood the times and confronted the people of Sierra Leone. He was subsequently implicated in a treason trial that condemned him to death. After his release, Victor Foh re-emerged from the political wilderness and campaigned vigorously to bring back the APC party to power. During his swearing in ceremony at State House, he famously informed the audience that, ‘I will serve Ernest Koroma and the APC party till death.’ This infamous swearing in drew many criticisms from far and wide, indicating his lapses for fundamental constitutional responsibilities. Naturally, many expected an intelligent politician like Victor Foh to take an oath to defend the constitution and serve the country and not an individual. To fast forward the contributions of Victor Foh to the APC party, history will be fair for his remarkable role he played in bringing the new faced virgin politician, Ernest Koroma into the limelight. It was the effort and hard work of Victor Foh that brought Ernest Koroma from the defunct Peoples Democratic Party (PDP) to the top echelon of the party. 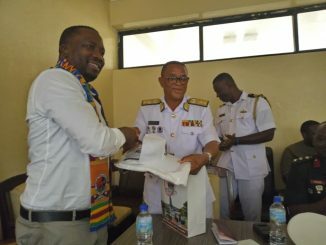 In his stride to acquire the presidency, Ernest was an unknown figure within the party and for a shrewd politician like Victor Foh to sail troubled waters and clinch the flag bearer spot was an uphill task. Victor Foh was really smart to see potentials in Ernest that few people saw and he transformed those potentials into a president serving two terms. For some, it could be considered as a blessing to have Victor Foh in the political limelight. So is he a blessing to the APC or a curse? But what has gone wrong in recent times? As his nickname (High Barb) suggests, Victor Foh has not only been the most influential figure in the APC party but also a cunning, unreliable and intimidating adversary within the APC party. 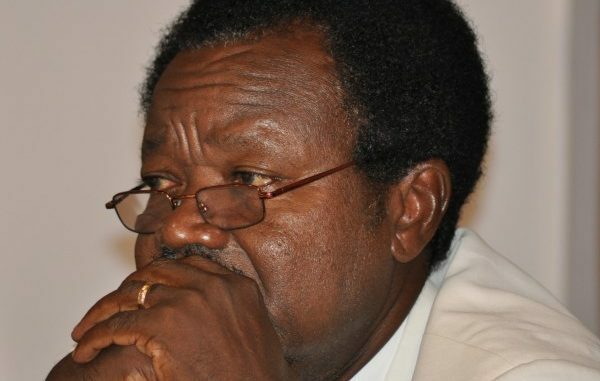 In a recent interview aired on local radio stations in the country, Victor Foh came out with a scathing attack on his party and its leadership including his former Chairman and Leader of the party, Ernest Koroma. He has opened a Pandora box with millions scratching their heads on how the party was administered. The interviews were explosive and startling with many APC stalwarts viewing it as washing dirty linens in the open public. 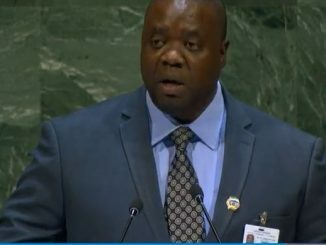 Though many may agree with Victor Foe that all was not rosy within the party, especially where the party allowed many presidential contestants to campaign and spend huge chunks of money and time, many may want to say, Victor Foh should have used the mechanisms within his party to resolve these issues. Many accused Victor Foh of giving a legal cover to the ruling Sierra Leone Peoples Party to conduct a cruel interrogation to break the back of the party. In Victor Foh’s view, the erstwhile president’s sense of mission drove him to seek power without limit and his indifference to public opinion verged on contempt. Whereas Sam Sumana remained quiet over his treatment by the former president, Victor Foh has been on the opposite side. His vitriolic attack on his former boss and the party has been seen as a sell out and many have even doubted his loyalty and genuine concerns to the party that made him the first native son of his hometown to achieve such positions in the history of the country. What’s more to say? Is the party treating it at face value or does it signal the beginning of the end of an era? Or is the public ready to see the beginning of more party stalwarts spilling the beans on the party that propelled them into prominence? 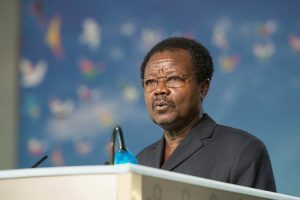 Victor Foh may not be the best of politician to adore in terms of principles, but his resilience in standing with his party in the midst of turbulence, humiliation and victimization should be commended and a forensic surgery should be done in the party, so good sons and daughters will prevail and defend the party even in the midst of adversity. Political power concentration in one hand or person is never a good solution in our today’s politics. EBK is to blame for the current situation and the earlier progressive party members take over the APC, the better for our country. APC is still a force to reckon with in Salone politics but the current state of affairs within the party may help sweep it into the dustbin of history. My bet is that, EBK won’t go in peace but will like to fight a losing battle for the control of the party. NGC is a very good alternative for the less fortunate under EBK, the earlier they come the better for us all.